Scalloped trim and colorful blooms add feminine whimsy to this signature style by ZAC Zac Posen. 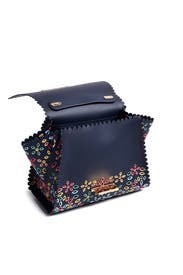 Also available in Floral Eartha Medium Soft Top Handle Bag and Checkmate. 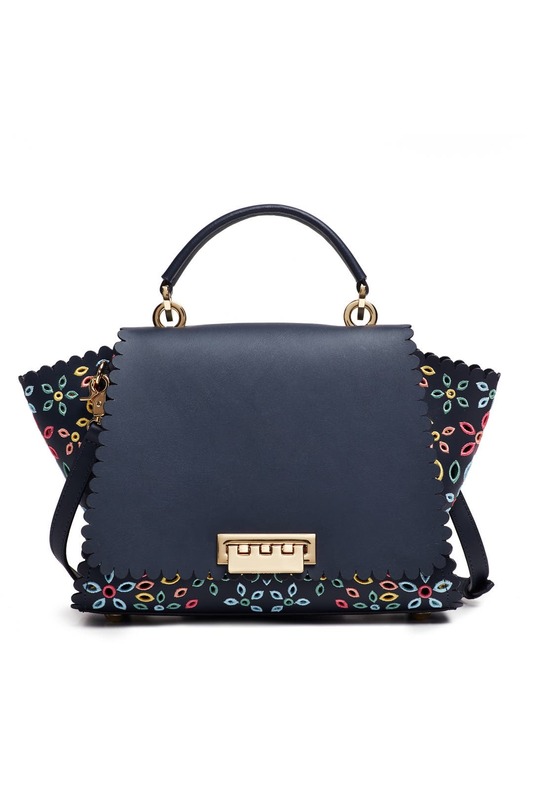 Parisian night navy calfskin satchel with multicolored eyelet gussets. Flaplock closure and interior back-wall slip pocket. 11"L x 8.5"H x 6"D.